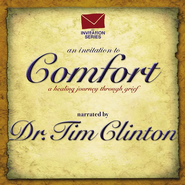 The Invitation Series offers encouragement and hope to those struggling with some of life's difficult issues such as cancer, abuse, addictions and grief. This double CD includes Scripture's encouraging message delivered by Dr. Tim Clinton, plus powerful and inspirational songs blended with personal testimonies on the topic of grief. 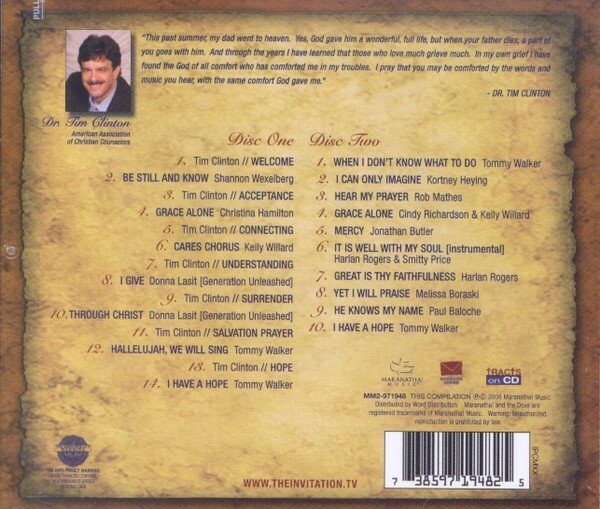 Songs include: "Grace Alone," "Mercy," "I Have A Hope," and more.